You can always rely on CES to feature some amazing new tech, but there are occasionally some products on show that make you wonder where we’re heading. 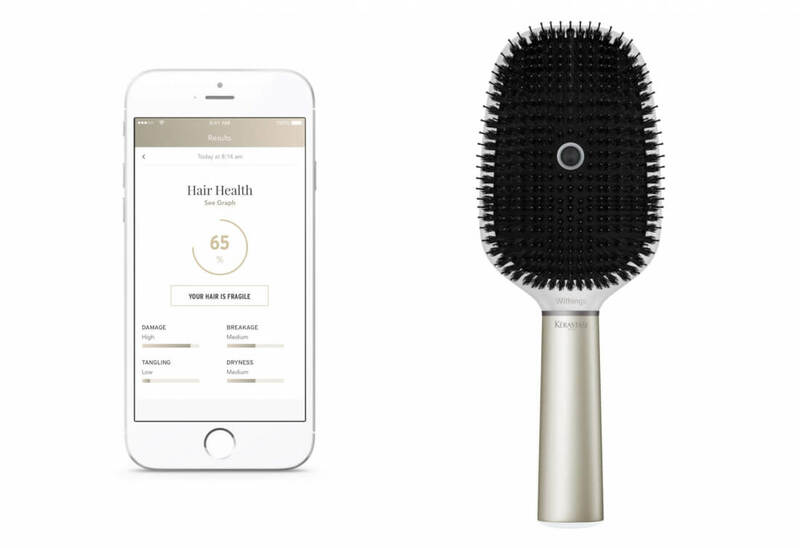 Such a device is the Kératase Hair Coach, a smart hairbrush. Yes, really. The device comes from cosmetics giant L’Oreal and is powered by Nokia-owned Withings. Like the many connected toothbrushes available today, it pairs with your smartphone to track data. The Kératase Hair Coach may look like a normal hairbrush on the outside, but there are five sensors packed inside: an accelerometer, a gyroscope, a conductivity sensor, load cells, and a microphone. It's powered with disposable batteries and has no charging port. The Hair Coach app gives you a breakdown of the information, which is sent to a handset via Wi-Fi or Bluetooth. It rates the quality of your hair, offers tips on better brushing techniques, and suggests some L’Oreal products that could help improve your locks. "Each time someone uses the smart brush they get rich data they never before had access to, which can improve their overall hair care experience," said Cedric Hutchings, Nokia’s VP of digital health. While the hairbrush may seem like another example of the tech industry’s quest to make every household item ‘smart,’ it still managed to win the CES innovation award for wearable products.